This refreshing smoothie really hit the spot. We’ve actually enjoyed it on a lovely spring afternoon and are using up the last of our pumpkins of the season. 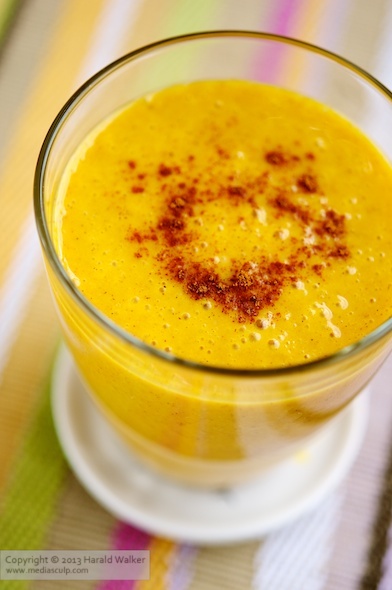 Put the soy yogurt, pumpkin puree and orange juice in a blender and whiz to a smooth consistency. Add the spices and banana and whiz once again. Season to taste with additional seasonings if you feel they are needed. Garnish with a bit of cinnamon and enjoy! 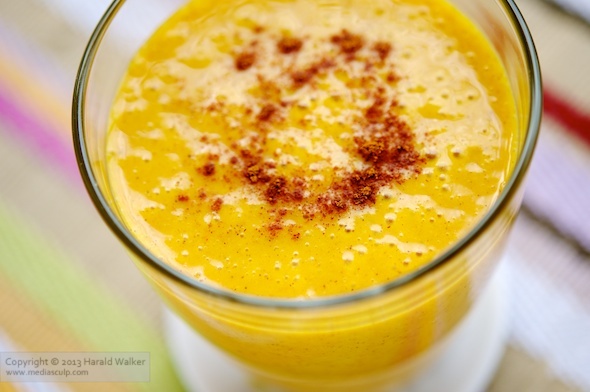 Posted by Chris Walker on May 13, 2011 in Banana, Beverages, Orange, Pumpkin.